Feel like a million bucks with the GOLD collection by Linden Leaves. This luxurious body care line will keep your skin glowing and soft for all to touch. Start your morning routine with the body bar, a beautiful gold-swirled soap enriched with plant oils, or use the shower gel, which has soothing chamomile extract and moisturizing avocado to clean your body. Lock in moisture and get extra silky skin with the lotion or oil. 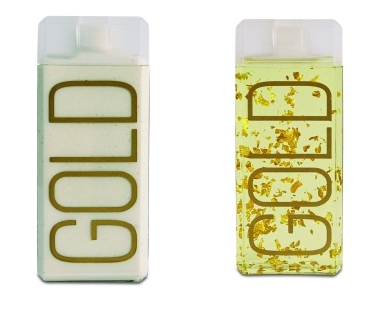 Apply the lotion, which includes aloe vera, avocado and chamomile extracts to nourish and tone your skin, or choose the oil, which contains 23 Karat gold leaf flakes, and a blend of the finest oils like sweet almond, calendula, avocado, grapeseed, and rosehip. Either way, you’ll get a nice healthy glow. Add shimmer to your body, face, and even to your hair with the shimmer dust. It’ll keep you looking golden all day and night. Purchase the entire 7-piece collection which also includes a facial spray mist and salt scrub or purchase products individually at www.lindenleavesusa.com.